The Bursary Award Winners at The Good Food Show Harrogate. Last Friday as part of my role as a Community Blogger at the Good Food Show in Harrogate, we were given a tour of the show. This gave us a brilliant chance to see local, Yorkshire producers as well as some new faces at the show. I have been to the Good Food Show every year since it started in Harrogate but this year it has been wonderful to see some new producers who have a great chance to showcase their wares. 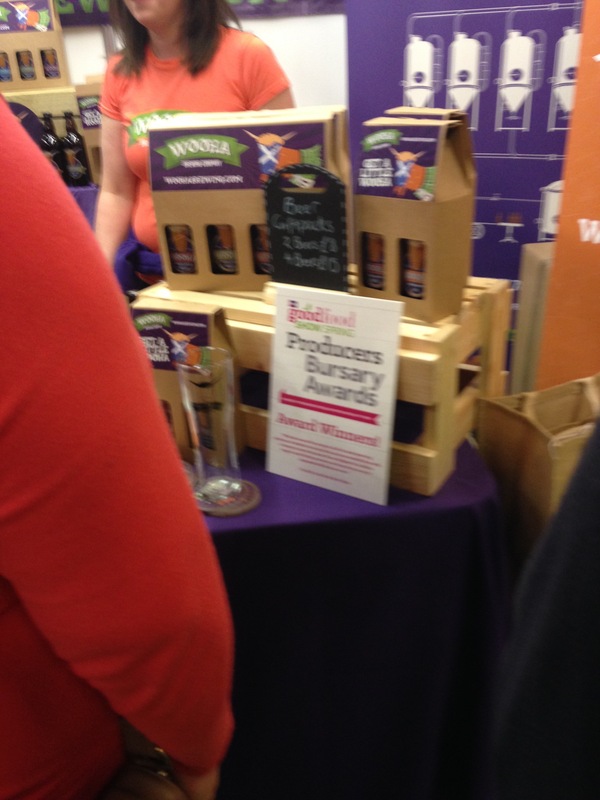 The Good Food Show Bursary Award Scheme is managed by Katy Truss and aims to reward small, independent producers with a free opportunity to attend the BBC Good Food Show. 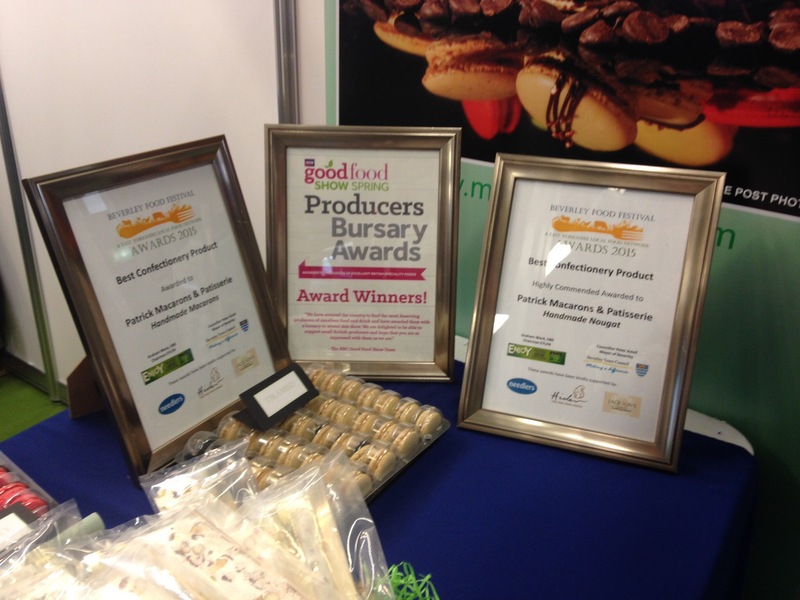 Any producers that were interested had to make a special application and there were a limited number of places for each Good Food Show event around the UK throughout Autumn 2015 to Summer 2016. Four winners were picked for the Harrogate Good Food Show. Sweetieatie make delicious handcrafted caramels and caramel sauces and are based in Standish, near Wigan. My personal favourites were the Sea Salted Caramels and the Mint Caramels. My family and I couldn’t get enough of them. The two beautifully packaged bags I bought back from the show got eaten very quickly. I also got to sample some of the Cracked Black Pepper Caramel Sauce on the stand and was very impressed with the flavour. 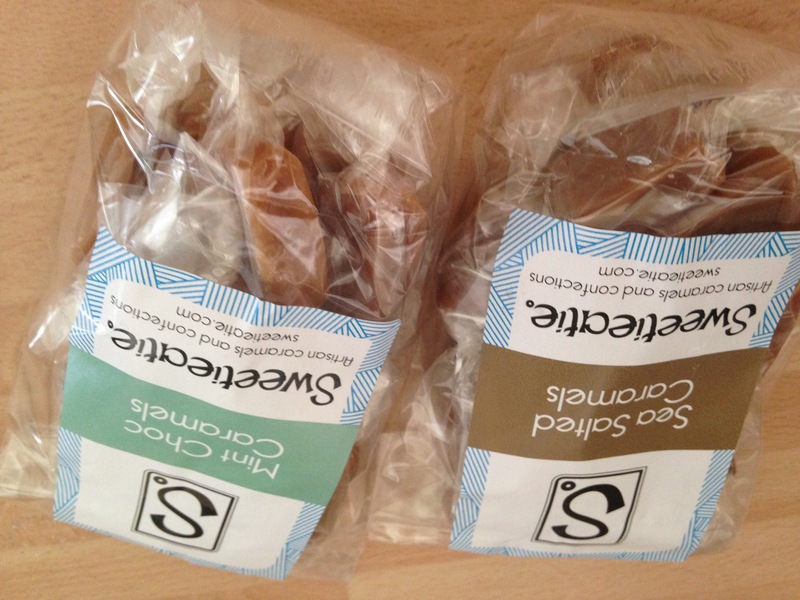 Sweetieatie’s scrummy Mint Chocolate and Sea Salted Caramels. They didn’t last very long in our house, I can tell you! Sweetieatie’s stand at the Good Food Show which shows all their caramels and their caramel sauces all beautifully packaged. Patrick Macarons showcases beautiful French macarons in a display of colours and tantalising flavours. All of the Community Bloggers were very impressed with the Macaron Man’s (as he is affectionately known) stand and products. As I personally find macarons tricky to make I was bowled over by the beautiful displays and the mouthwatering flavours. I’m looking forward to trying some of these macarons in the future. 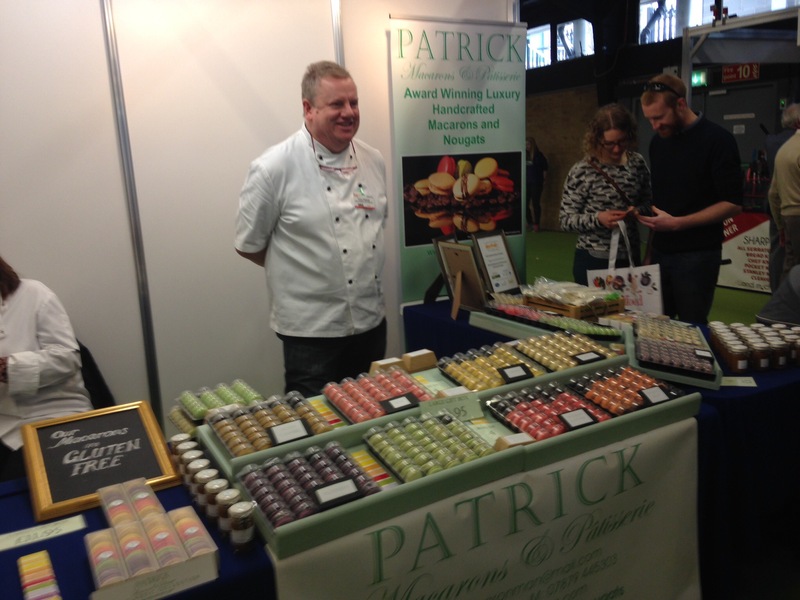 Patrick Macarons are based in Hull. The Macaron Man himself very kindly posed for a photo behind his delectable macarons. Just gorgeous and photogenic. 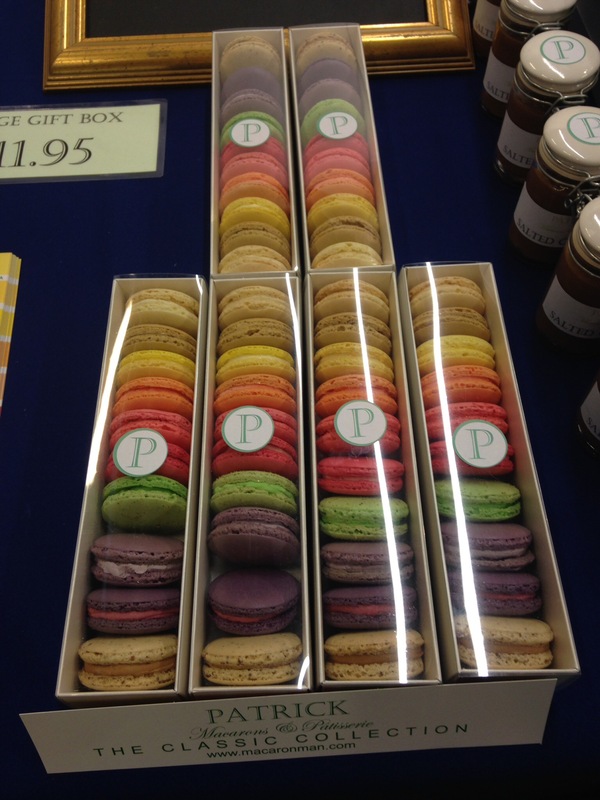 Patrick’s Macaron’s were displayed beautifully in these gorgeous containers. Awards and certificates on display. It was great to see that the Macaron Man has also recently been featured in the Yorkshire Post. All my family love popcorn, especially when we have a cinema night and this would be a perfect, alternative treat for us. I loved the Salted Caramel flavour, a wonderful blend of sweet and savoury in the same bite! 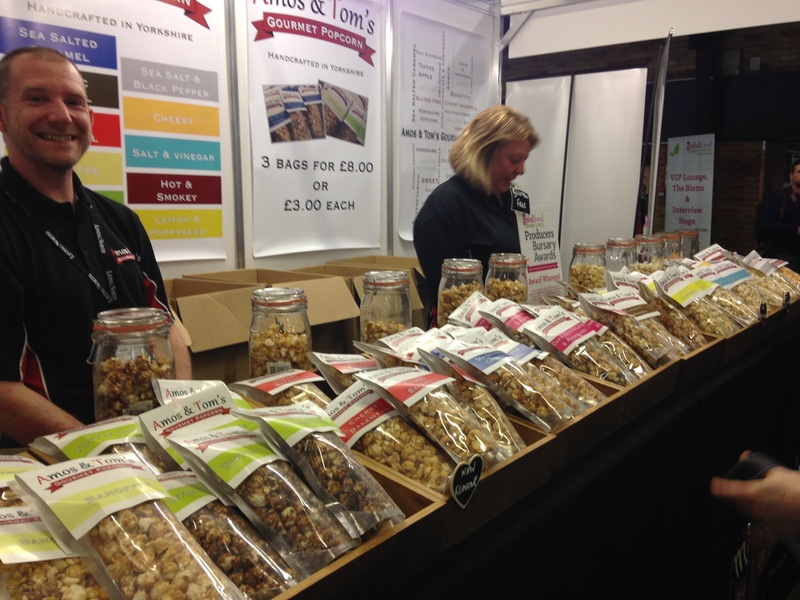 Amos and Tom’s Gourmet Popcorn is handcrafted in the Yorkshire Wolds and they pride themselves on being the first gourmet popcorn producers in Yorkshire. They also use the finest mushroom corn to pop with along with another local product, Yorkshire Rapeseed Oil. I am looking to try more flavours in the future as what I tasted was just gorgeous. Amos and Tom’s Gourmet Popcorn. A far cry from the tasteless popcorn you get at the cinema! The WooHa Brewing Company is a micro brewing company based in Nairn near Inverness. They brew four different drinks: Porter, Lager, IPA and a Wheat based beer. I had just downed some gin at another stand at the show and was worried about mixing my drinks, so unfortunately didn’t get to taste any of WooHa’s products. I liked the look of the packaging and would like to try their products in the future. I can imagine the lager or the wheat based beer would go down very well with both my husband and I after a busy day in the garden and if we’re having a summer BBQ. WooHa’s ale stand had a big crowd around it when I saw it. I’m hoping to try out their ale in the future when I haven’t already drunk a glass of gin! All opinions are my own based on my experience at the Good Food Show last Friday. Previous Post My Day At The BBC Good Food Show Harrogate 2016. Next Post TasteCollectiv- Fresh Romesco and Pesto Sauces.